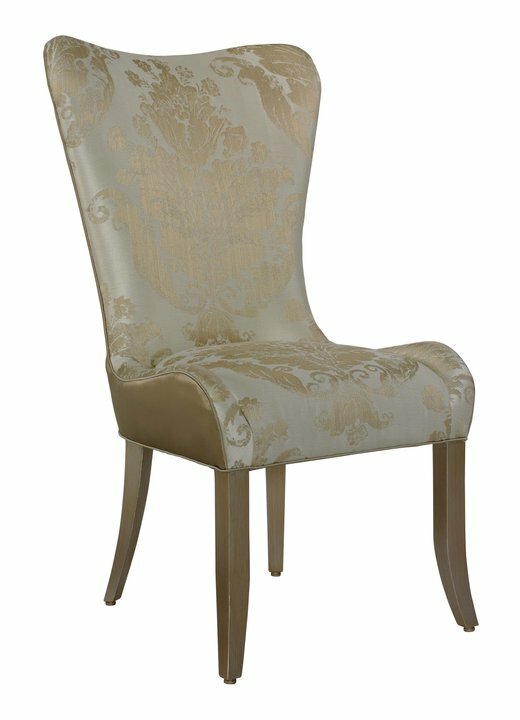 Broad shaped wings give this chair a grand presence. Follow the curves of the frame as they flow through the wings, down the back, out through the seat and down the saber shaped leg posts to the floor. 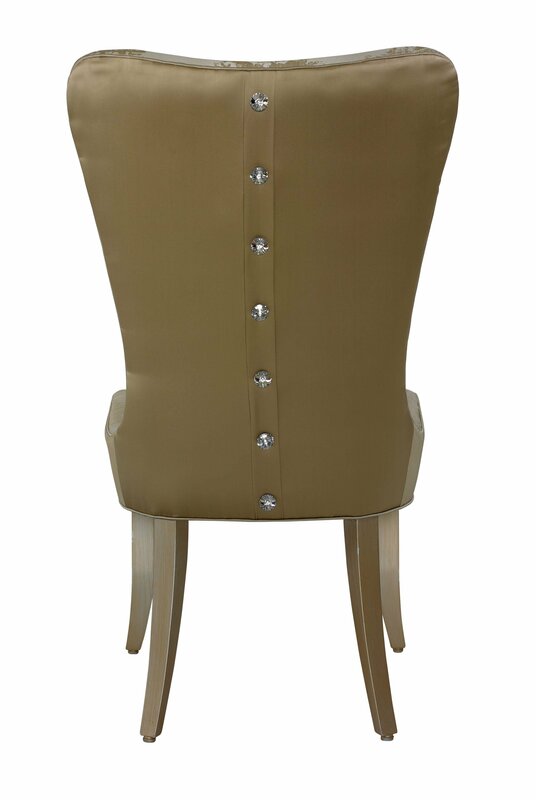 A horizontal center placket is adorned with seven large 27mm Swarovski® Elements crystals. 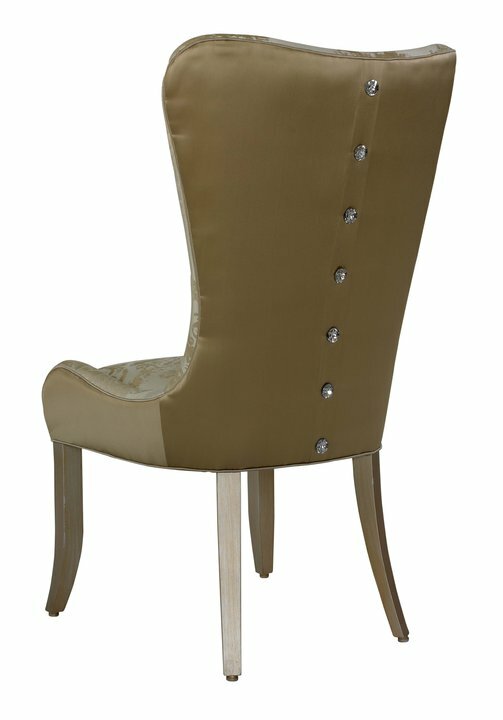 A gold glazed silver finish called Champagne accents the exposed wood legs.